As the Sony Ericsson Xperia Play UK release date of 31 March draws near, Sony Ericsson is no doubt feeling butterflies in its collective corporate tummy. We caught up with Dave Hilton, Marketing Director UK & Ireland at Sony Ericsson, who told us that the company's work will improve Android as a gaming platform overall, and not just for Xperia Play users. "It's a means to an end for us, but improving the quality of Android gaming as a whole is definitely a part of what we're doing," he said. "We've worked very closely with Google and Android to make Android the best mobile gaming platform and really go beyond the competition. "As well as working with games developers directly, we've also formed key partnerships to enhance the whole gaming ecosystem – most notably with Unity, a developer pool that helps devs get their games on to every platform. "We've also makde Havok gameplay technology available to Android developers to improve gameplay graphics, so while it's all optimised for Xperia Play, other devices will see the benefits." 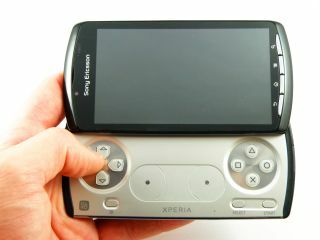 The Xperia Play is set to launch with around 50 games available, some of which will be pre-loaded on to the handset. Sony Ericsson has also been working closely with what it calls 'premium partners' – the likes of Sony Computer Entertainment, EA and Gameloft – ensuring that existing games can be optimised for the handset as well as developing new games. Some games will launch with exclusive features – like FIFA which will be multiplayer over Wi-Fi only on the Play – and others will have early launches like Dungeon Defenders Second Wave, which will be available on the handset before it launches on to the Xbox and other consoles. "It's really a sign of how seriously developers are taking the Play," said Hilton.